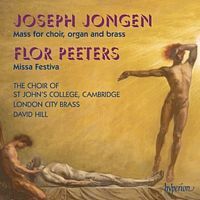 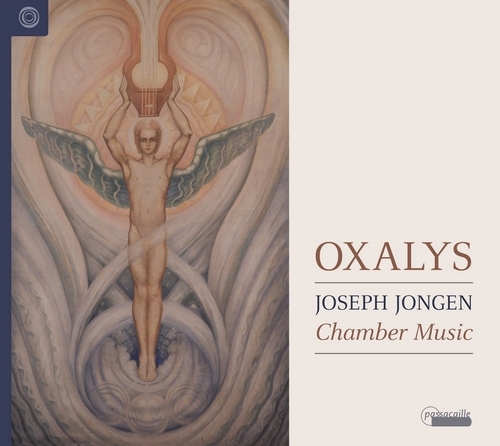 The fact that Joseph Jongen (1873-1953) had a small renaissance in the last few years, at least on CDs, is probably due to his charming chamber music and especially to his chamber music for harp. 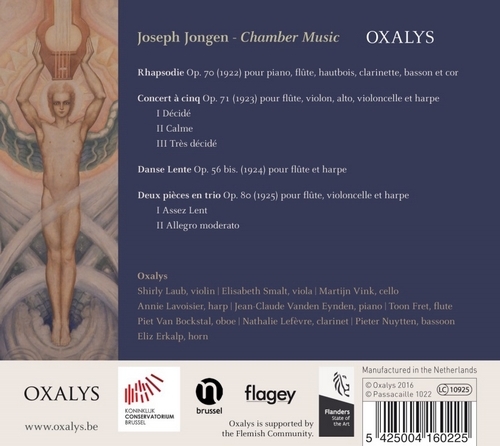 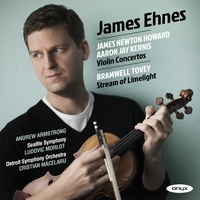 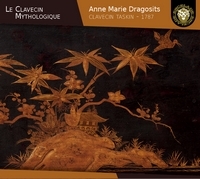 Every work of this recording with the Belgian ensemble Oxalys proves how much Jongen was able to conjure virtuosically with the possibilities of the instrument. 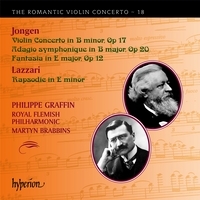 In the Concert a cinq, for example, he works in a very subtle, fresh and refined way with the playing methods and the articulation. 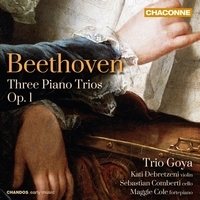 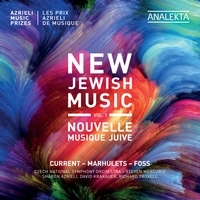 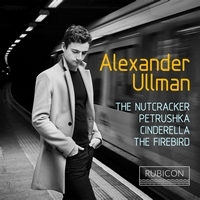 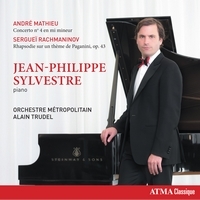 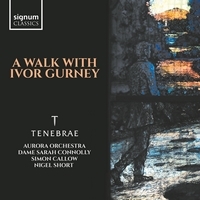 Anyone who has always looked for repertoire additions to the well-known harp works of Debussy and Ravel will find it on this record.